The Gross Motor Function Classification System (GMFCS) for those with cerebral palsy is a classification system for different levels of the disorder and is based on a child’s level of movement. There are currently five levels of GMFCS, with the highest level being the most severe with mobility issues. Babies learn to sit on the floor, crawl, hold onto and “cruise” furniture, and hold objects in both hands without assistance. Children begin to walk without assistance and can sit easily while holding objects in both hands without assistance. Children can sit down and stand up without assistance, sit on the floor and get up without assistance, climb stairs, run, and jump. Children can run, jump, climb stairs, and walk without assistance, but may still need help with balance and coordination. Babies rely on their hands or the assistance of others when sitting upright on a floor. Some babies can crawl on their hands and knees or move forward while laying on their belly. Children still require assistance while sitting upright on the floor, but they may begin to hold themselves up via furniture and walk. Children should be able to sit in a chair without assistance or on the floor without assistance. However, they may need help with walking (aside from short distances), and may need to hold onto to a table or another sturdy object. During this level, children cannot skip, hop around, or jump. Children can now walk indoors and outdoors with little to no help. They’ll still need assistance when climbing steps or walking on a floor or road with an inclined surface. Infants need continuous lower back support and assistance in order to sit up, but will be able to move forward while on their bellies. Crawling is generally the preferred method of moving around during this level, and children typically use their hands and knees to crawl. They can sit up unsupported but will sit in the “W” position with their knees rotated and legs facing backwards. Children can sit with trunk support, lift themselves up while holding onto something sturdy, and can climb stairs with assistance. Walking alone also requires assistance, either from an adult or a mobility assistance device. Children are able to walk indoors and outdoors with the assistance of a mobility device. They can also climb stairs using handrails or with the assistance from adults. However, they cannot walk long distance and will require the use of a wheelchair or an adult who can carry them. Babies can roll back and forth without assistance, but will need adult help to sit up. Children can now sit up alone, but will need to use their hands and arms to maintain their position. Children will also need adaptive equipment for sitting and standing. 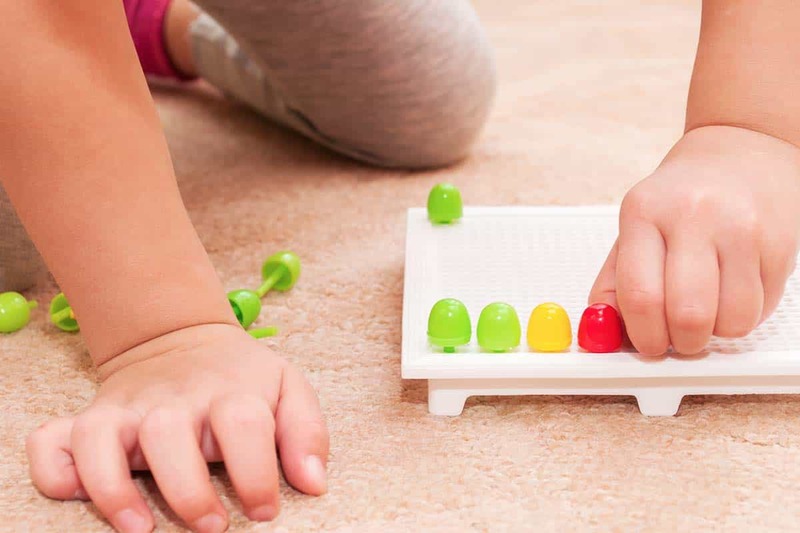 At this level, children use crawling as their preferred method of moving around. Children can walk short distances during this level, but should always be monitored as they will have issues with balance and coordination. They will also need trunk support while sitting. Mobility generally remains the same during this age group, but once children start school, they’ll generally begin to use mobility assistance, such as wheelchairs, more so than before. Infants’ voluntary control of their limbs are limited and they require assistance in sitting up, rolling over, and holding their head up. Children continue to have extremely limited mobility. They will need assistance in all areas of movement. Mobility increases during this age group, and children can sit alone in chairs, but will still need assistance from falling over. They will need assistance in all other areas of mobility as well. Mobility is still extremely limited, although some children will be able to use an electric wheelchair on their own. Children in this age group will still be dependent upon others for movement.